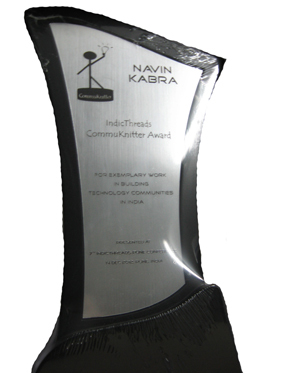 Navin Kabra of Punetech.com was recently presented the IndicThreads CommuKnitterTM award for his exemplary work in building technology communities in India and particularly in Pune. In this award acceptance talk, Navin talks of his & Punetech’s journey and about building technology communities. He also shares his views on a successful tech career. Vibrant communities are critical for innovation & enterprise to thrive. 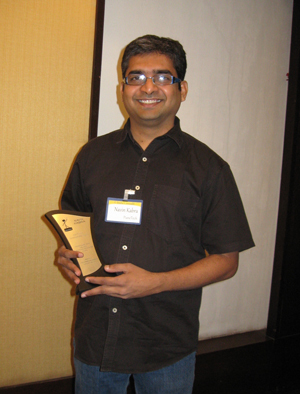 The IndicThreads CommuKnitter Award is a “thank you” from the community to individuals like Navin who put in passion, time, effort & ideas into stringing bright people together and building communities that benefit everyone. 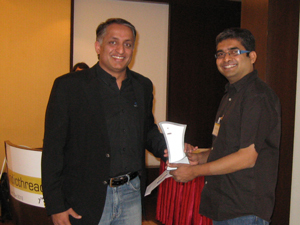 The award was given away at the 7th IndicThreads Pune Conference held on 14-15 December 2012. The award was presented by Suhas Kelkar, the Chief Technology Officer (APAC) of BMC Software and the inaugural speaker at the conference. No programming language offers what Python does philosophically.